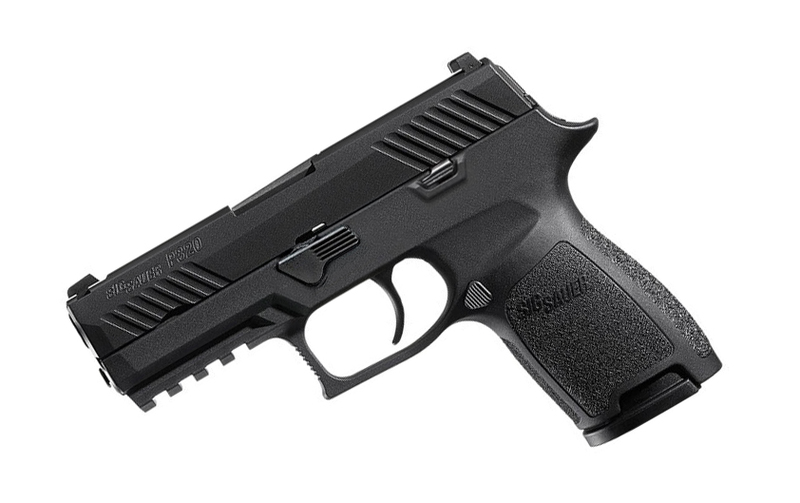 The sales men at the St. Augustine, FL were very helpful with my purchase of the Sig P320. I was comparing between a Glock 19. The sales guy answered every questions and demonstrated the difference between the Sig and the Glock. Especially the modular components for the Sig. Unfortunately, the store did not have a black Sig P320 in stock, but he checked Top Gun Supply website and informed me they have one available. He advised me that I can start the paperwork after purchasing it online, so by the time it comes in, I can just pick it up. I wasn’t sure that I wanted to buy just then. I left and did more research. A few hours later, I decided to purchase through their online store. I did it on my iPhone while heading back to the store in St. Augustine. I was the passenger while my father was driving. I purchased the Sig while in the car and came into the store to start the paperwork. Received the Sig and it more than exceeded my expectations. The night sight is very useful. The online sales man, Brad, was helpful too. He also replied back to my questions. I found out about the FREE upgrade (ok recall) about the -30 drop discharge. Needless to say, I will be sending it. I am glad Sig is fixing the problem. I have no complaints about the Sig Sauer P320 Compact 9mm.